As this is the final day of 30 Days’ Wild, run by the Wildlife Trusts, I decided to have a last go at this year’s Friends of the Earth Bee Count, which also ends today. Once again, I tried the one minute count on the app. You have to choose a flower to watch for that minute. No bees turned up to collect pollen and nectar from my chosen foxglove until the last seconds! 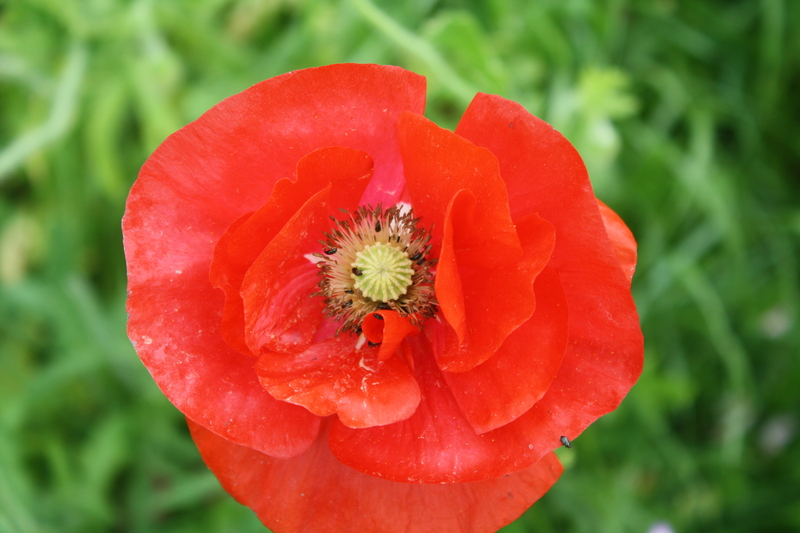 After the alarm went to signal the end of the count, several bees flew into the flower-bed! So I decided to have another go. And this time, I choose a viper’s bugloss. I recorded one bee again – a tree bumble bee I believe, this time. This counting app is rather addictive, so I had a third go, using a viper’s bugloss in another flower bed. And this time, I achieved my highest score this season – three bees seen in the minute! I even tried taking a photo of a bee with my tablet camera at the second and third counts and managed to get a bee in the frame each time and submitted them too! I checked on the Bee Count website this evening and the most up-to-date figure of bees counted since the exercise began on May 19th was given as 377,614. It was while I was bee hunting that I noticed a bright orange fox-and-cubs flower had suddenly appeared in a corner of one bed. I was very pleased as I thought it had died off. There are lots of corn marigolds in this section of the wild flowers. 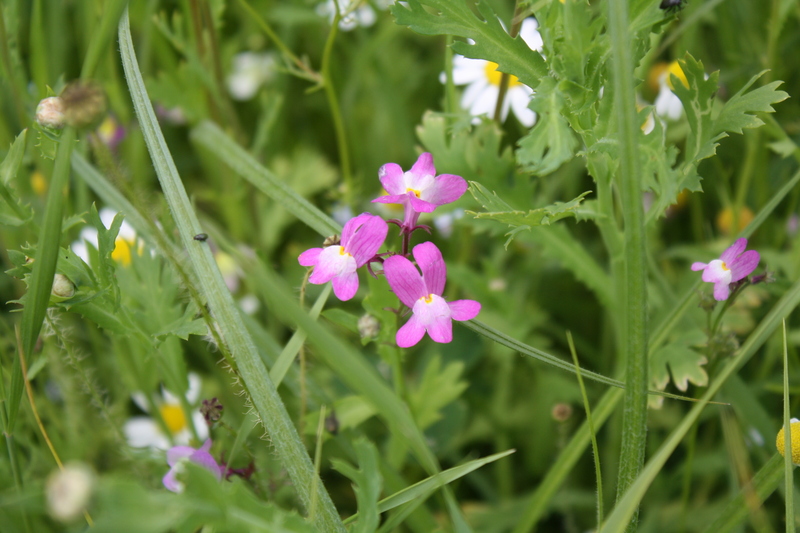 During the afternoon, we went to see the wild flowers which had been planted alongside a cycle and footpath in nearby South Wootton. They make a very colourful and cheerful display. 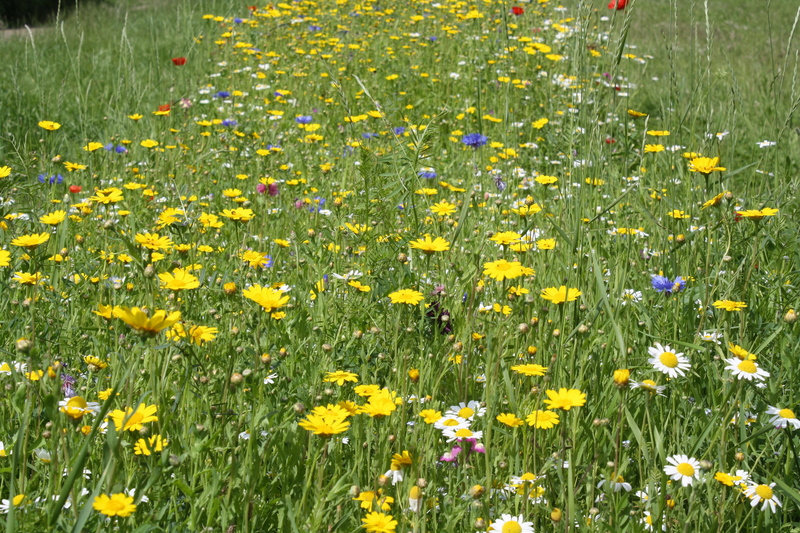 The mix included corn marigold, mayweed, vetches, forget-me-not, toadflax, corncockle and poppies of varying shades. 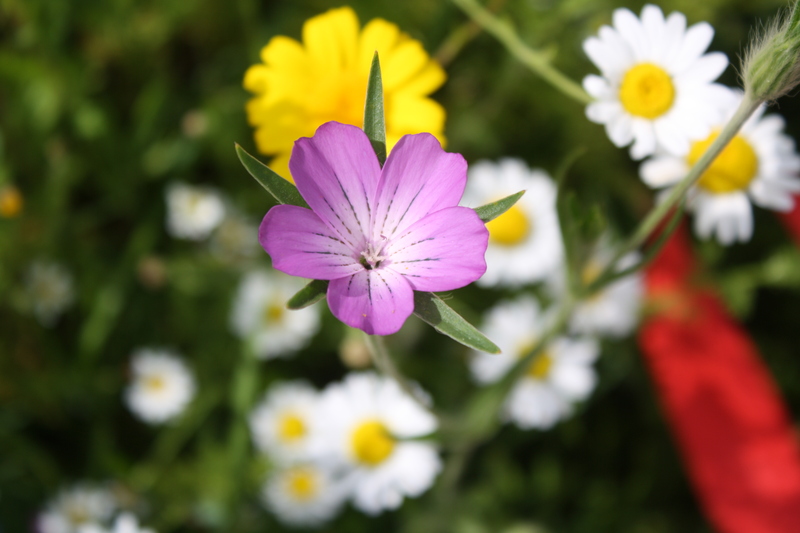 We were intrigued by the range of colours of the cornflowers, from the usual blue to purple, mauve, white and pink. 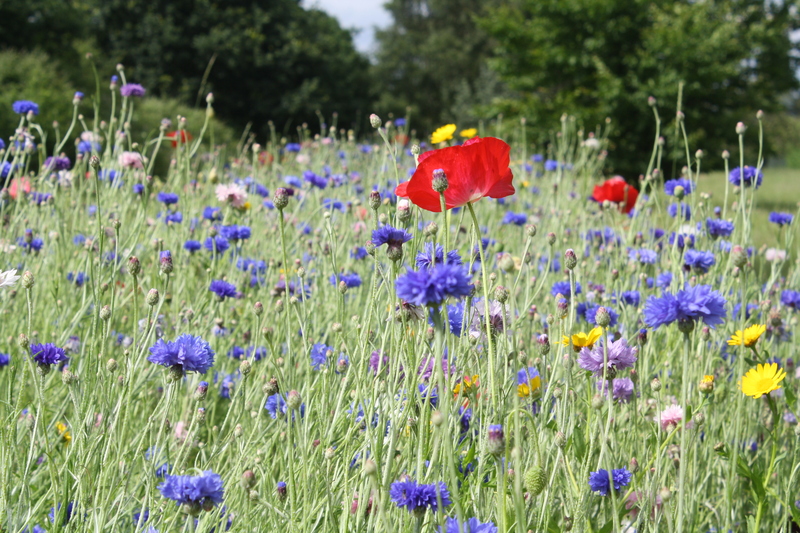 Cornflowers feature in this section. Insects attracted by the flowers on this warm afternoon included red-tailed and white-tailed bees, swollen thigh beetles and hoverflies. Pink cornflower with female swollen thigh beetle. Red-tailed bee on a blue cornflower. White-tailed bee on a mauve cornflower. Well, I can hardly believe that the 30 Days’ Wild challenge has come to an end. I have enjoyed it and learnt from it, but I must confess I shall be pleased to be able to have some earlier nights! PS Ending where I started this challenge, on the subject of rain: our gauge shows 85mm, or three-and-a-half inches, of rain fell this month, which is quite a hefty amount.